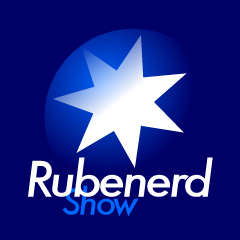 It's now official, the Rubenerd Show, Rubenerd Blog, and the beta Rubenerd Fusion sites all have matching logos! I hope you like them :D.
I'm welcoming any feedback to the images on the comments page for this post or over at the Rubenerd Forum if you particualrly like or loathe them. All [constructive] comments welcome.